Wanted: Leftfielder who can "GO GET IT"
While the Reds continue to bandy about the names of potential leftfielders for the 2009 season, I once again ascend to the top of my soap box to advocate for the importance of team defense. As Rany on the Royals (seriously, if you like good baseball writing, go read this site. And, we can all rejoice that Rob Neyer's ESPN work has been moved out from "behind the wall" again, so everyone can enjoy it free of charge) recently noted, Dayn Perry wrote a book entitled "Winners," in which he looked back on championship MLB teams to try to find similarities. One thing he found was that championship teams frequently have two centerfielders in the starting lineup, usually playing one in leftfield. The most recent example that leaps to mind was the Chicago White Sox playing Scotty Podsednik in left and Aaron Rowand in center in their championship season. For far too long, the Reds have been hamstrung defensively by the structure of their roster. They had an aging and injury riddled Ken Griffey Jr. in center and the defensively challenged Adam Dunn in left. Injuries made the Griffey contract immovable and Dunn was too valuable offensively and too undervalued by the market to trade. So, we as Reds fans were left, on a nightly basis, to perservere through a defensive spectale that would only be appropriate under the big top. Poor range, misjudged flyballs, and singles turned into extra base hits. Unfortunately, I just don't think a team like the Reds will ever have enough superfluous talent to offset the damage done to their Win/Lose record from having a poor defensive squad. So, as names like Magglio Ordonez, Juan Rivera, and even Adam Dunn are kicked around, I can't help but hope that the Reds don't repeat the mistakes of the past by locking up a defensively challenged player to a contract that will strip the club of roster flexibility and bring about another circus themed defense. Personally, I don't think it's a coincidence that the best defensive squads are frequently still playing into October. Defense seems to be perpetually undervalued, perhaps because of the inherent difficulty in measuring it. A homerun is easy to see and appreciate, but tremendous range in the outfield isn't always easy to notice or appreciate. Still, a run saved is worth at least as much as a run scored, a fact I hope the Reds keep that in mind for the future. Given the importance of having a quality team defense, perhaps the best course of action for the 2009 season is to just promote Drew Stubbs to play centerfield and shift Chris Dickerson over to leftfield. That would give the Reds two gold glove caliber centerfielders in their starting outfield. If those two can save the Reds 20-30-40 runs over the course of a season, then they would add roughly 2-3-4 more wins in the win column with their defense alone. Will they be able to acquire an offensive outfielder who can add that kind of impact with the bat? At what cost? That said, if the Reds do want to sign an impact bat to play leftfield, then I might be be ok with Milton Bradley. I know Uncle Milty is a bit of a headcase and has significant injury problems, but I have long been a fan of his. I don't think I have ever mentioned him on this blog, but I have been a fan of Bradley's since his stellar 2003 season when he hit .321/.421/.501. I have been hooked ever since, as I tremendous appreciate for guys who can post a 3/4/5 slash line. They are the ultimate hitters, as they have the batting average skills, on base skills, and power to be incredibly well-rounded. That's the type of offensive game Bradley brings to the table. Granted, he benefitted from playing in the Ballpark at Arlington, but Great American Ballpark likely wouldn't suppress his numbers very much. Unfortunately, I wonder whether the risk/reward balance is in our favor on signing Bradley. I love Milty's game, but there is undeniably a significant amount of risk to him. It's the same problem I had when Gil Meche hit the free agent market. Gil has long been one of my favorite pitchers and over the years I had thought of countless different scenarios for the Reds to acquire him from the Mariners. That said, I'm not sure I would have had the stones to sign him to the type of contract the Royals used to acquire him. The risk/reward balance wasn't great, but it is paying off in a big way for the Royals. Given the risk, you may not find great organizational success by rolling the dice on this type of acquisition very often, but maybe this is a time where it would pay off. Dropping Milton into the cleanup spot of the lineup between Votto and Bruce could a huge impact move on the Reds. As a switch hitter, he would bring much more R/L balance to the lineup and give the Reds the threat they need from the right side. Not to mention, his on base skills rival those of Adam Dunn, which is always a good thing. Even with his injury problems, I'd have a hard time turning down 130 games a year from Bradley at $7-8M. If we felt comforable that he could give us that as a full-time leftfielder, then I'd pull the trigger. If we need to bring in a caddy for him as a late inning defensive replacement and a starter when injuries strike, then I'd look at Matt Murton. I still like Murton's game and, whaddaa know, he's probably the best defensive leftfielder in all of baseball. Maybe it always actually DOES come back to defense. I'm still trying to get a feel for the predilections of Walt Jocketty. Admittedly, I didn't follow his every player personnel move with the Cardinals, but he seems to have made a number of solid moves, got lucky with Albert Pujols, and made one terrible trade for Mark Mulder. 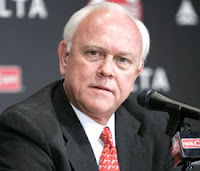 Still, it's difficult to imagine what he was thinking when he hired Cam Bonifay and Bill Bavasi as special assistants to the General Manager. In fact, it's difficult to see it as anything other than a black mark against Jocketty, as Cam and Bill are two of the worst general managers in the history of Major League Baseball. In fact, Cam and Bill were listed #6 and #8 respectively on Jonah Keri's worst General Managers in the history of professional sports. Cam Bonifay was the general manager of Pirates and made some of the biggest headscratcher moves imaginable. He gave hefty multi-year contracts to Kevin Young, Mike Benjamin, and one of the worst contracts in recent memory when he signed the mediocre Pat Meares. Not to mention, he topped it all off with a six year deal worth $60M for Jason Kendall. In addition, the Pirates constantly frittered away their top draft picks and never had a farm system of note. As for Bavasi, he cut a swath of destruction up and down the west coast, first as the General Manager of the California/Anaheim Angels and then later with the Seattle Mariners. The list of mistakes is long and distinguished, including signing Mo Vaughn, Richie Sexson, Carlos Silva, and trading the entire farm system away for Erik Bedard. Now, I can certainly understand that some people are quality baseball minds, but are just ill-suited for the role of general manager. In that category, I could see including Dan O'Brien, who suffered from paralysis by analysis as a GM, but seemed to have a knack for building a farm system. Unfortunately, I find it impossible to include Bonifay and Bavasi in that category, as neither seems to have the slightest clue about player valuation, building up a farm system, or any other aspect of front office work. Jocketty may have a solid track record with the Cardinals, but he's not exactly building a 21st century version of the "best and the brightest" for his advisers. In fact, it's difficult to conceive what kind of advice of value either Bonifay or Bavasi could even offer. Now that we have shed no additional light on the mystery that is Walt Jocketty, it's time to turn our attention to one Johnnie B. Baker Jr. And, while we all know the reputation of Dusty Baker, is it actually true? How does Dusty manage the game? And, who better to measure the tendencies of MLB managers than Bill James? The 2009 Bill James Handbook includes a section that tracks the tendencies of managers. Unfortunately, since it's a relatively new metric, there is no baseline for comparison. Even so, there are things to be revealed from the career of Dusty. First and most obviously, Dusty works his starting pitchers harder than most. Dusty's managerial career is notable for his tendency to allow his pitchers to work "long outings" and using a "slow hook." Slow hooks are calculated by by adding the number of pitches plus 10 times the number of Runs Allowed. The top 25% of the scores in the league are considered Slow Hooks. Dusty led the league with 63 slow hooks. "Long outings" are defined as an outing in which the starting pitcher throws more than 110 pitches. In 2008, Dusty had 39 long outings. In addition, Dusty has frequently led the league in Pitch Outs. In 2008, Dusty had good success utilizing the intentional base on balls. He called for four wide ones 40 times and of those 28 had a "good" result and 12 were "not good." Of the 12 "not good," 4 of those were a "bomb." So, it's pretty clear that Dusty lived up to his reputation, as he likes to work his starters hard and gives them a lot of rope. However, I think it's just as interesting to see how Dusty handles the bullpen. One of the more interesting new baseball statistics is the Leverage Index, which is the amount of swing in the possible change in win probability, compared to the average swing in all situations. The average swing value, by definition, is indexed to 1.00. If the score is 14-1, then the possible changes in win probability will be very close to negligible. Whether the pitcher gives up a home run or gets a double play ball, it doesn't really change the outcome of the game. However, in the late innings of a close game, the change in win probability among the various events will have rather wild swings. With a runner on first, two outs, down by one, and in the bottom of the ninth, the game can hinge on one swing of that bat. A home run and an out will both end the game, but with different outcomes for the teams involved. So, given all of that, it's clear that you want to use your best relievers in the high leverage situations. When the game is on the line and the pitches are the most valuable, those are the pitches you want to be thrown by your best relievers. So, how did Dusty stack up? So, in the crucial moments, Dusty relied heavily on Cordero and Weathers. However, it's difficult to argue that Jared Burton was not the most effective reliever on the team and yet he rarely pitched in high leverage situations. In addition, Jeremy Affeldt was very effective, but he was used mostly as a mop-up man. Now, you can certainly make the "chicken-and-the-egg" argument on Affeldt. Was he effective solely because he was used in mop-up situations or would he have been equally as effective in the high leverage situations? Whatever the explanation, it will be key to the Reds chances for success in 2009 for Jared Burton to work significantly more high leverage innings. Given their talent, the Reds don't have the margin of error necessary to be successful without using their best relievers in key situations. It's too soon to be drawing any conclusions, but it seems clear that Dusty needs to handle the bullpen better in 2009. In what looks like a clear win/win situation, the Giants signed Jeremy Affeldt to a two year deal worth $4M per season. The Giants get a very effective lefty who can handle a heavy workload (78.1 Innings in 2008) and the Reds get a compensatory draft pick and salary relief to sign a replacement. If the compensatory pick wasn't available, then I would have been happy to have Affeldt back on the $8M deal the Giants cut. However, the Giants and Reds weren't in the same situation, as the draft pick tips the scales the Reds gambled on Affeldt last off-season on a one year contract and it paid off in a big way. It's impossible for an outsider to say that the Reds planned to sign Affeldt in hopes of landing a compensatory pick, but one can certainly hope. If that wasn't the plan, then hopefully they can now see the value in churning players. And, hopefully they can see it in a hurry, because they are waffling back and forth on David Weathers. Before the free agency period began, Walt Jocketty stated that they had made an offer to Weathers and I was none-to-pleased. However, Weathers and his agent stated that no offer had been made. When free agency arrived, Weathers announced that he had "flipped the page" on the Reds and it looked like a second compensatory pick was forthcoming. However, it looks like the Reds are back in the mix, as negotiations are on-going. One would have to hope that the Reds realize that the draft pick is going to yield more value to the organization than a 39 year old reliever, but the Reds may just choose to ride the value of Weathers right into the ground. Turning back to Affeldt, his departure opens up a slot in the bullpen for a second southpaw. Personally, I'd be very interested in seeing what Danny Herrera could do as the second lefty out of the bullpen. Billy Bray should be just fine as the primary lefty, but the Reds seem heistant to rely on Herrera. They may well be right, as depth is an important attribute for an MLB team, but I think Herrera and Matt Maloney could both do a nice job out of the bullpen. I'd still like to see Maloney in the rotation, but if he falls short then he could be in the mix for the spot in the bullpen vacated by Jeremy Affeldt. In 2008, Herrera struck out 9.82 batters per nine innings and posted a 3.50 GB/FB ratio. In 7.1 innings, Herrera racked up 8 strikeouts, 14 ground balls, 4 fly balls, and 4 line drives. Unfortunately, those stats come with a 7.36 ERA, but that is likely the result of his poor luck. He posted a very unlucky BABIP at .415 (should be ~ .300) and LOB% at 58.8% (should be around 70%), so he allowed more hits than was to be expected and stranded fewer runners than you would expect. Admittedly, it's difficult to draw any significant conclusions based on such a small sample size, but I do think there are some real positives there. Best of all, Herrera is a groundball machine, which helped him succeed at high altitude for the University of New Mexico. Of course, he doesn't fit the mold of a major league pitcher, topping out at 5'7" and 83.8 mph. Still, height and velocity aren't everything, so Herrera could be an intriguing fit in Great American Ballpark. But, will he get a chance? Here's a clip of Reds pitching prospect Kyle Lotzkar from 2007. It's a short clip, but I think it actually reveals a number of interesting things about Lotzkar. First, you can see what got him drafted so high. He has the long and lean body type that major league organizations often favor in pitchers. His height allows him to throw on a downward plane and he has a loose delivery. However, you can also see how he raises his pitching arm elbow above his shoulder before bringing the ball up into throwing position. This is the mechanical issue that may increase his risk of an arm injury in the future. Unfortunately, Lotzkar suffered a fractured elbow last year, which is an unusual injury. Hopefully, he can rebound and stay healthy in 2009. Thanks to ProEthan for posting this clip. Here is a great clip of Neftali Soto crushing a homerun earlier this year for Dayton. Soto is a young prospect with a very big upside, but the thing that stands out the most for me is his swing. It's a beautiful swing for a right handed hitter and the impressive results are showing that sometimes looks aren't deceiving. Soto has a quiet approach, great balance, and a quick bat. It's easy to dream on a swing like his, but you can judge for yourself. Enjoy! The Reds bullpen was a bit of a pleasant surprise in 2008. Of the many problem areas of this team, the bullpen wasn't really among them. 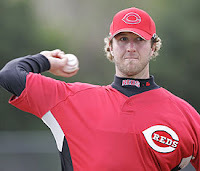 In 2008, the Reds relievers put up an 8th ranked 3.81 ERA , but a 21st ranked 1.45 WHIP and a 24th ranked .342 opponents OBP. Here is what the preseason projection looked like. Former GM Wayne Krivksy's big free agent signing was effective, but really didn't do much to alter the fortunes of the Reds. Closer is an interesting position and one I find difficult to properly value. Their limited workload reduces their opportunity to impact the game, but when they actually are used in high leverage situations their value is beyond measure. However, managers don't always use the closer in the high leverage situations, choosing instead to utilize their best reliever in situations where the team has a 3 run lead and nobody on base. However, it's undeniable that an ineffective closer can destroy the confidence of a team and cost the team victories in the Win/Loss column. Rany from "Rany on the Royals" wrote an interesting blurb (which I've quoted below) about Nate Silver's keys to postseason success. While Silver's findings comport with my belief in the importance of defense, they also reveal the importance of a good closer to postseason success. However, Billy Beane has had substantial success with his "Trading the Closer" philosophy, which basically entails selling his closer when the cost gets too high and replacing him with a less expensive, but equally effective reliever. It worked in large part because the marketplace overvalued the "save" statistic, rather than looking to the underlying performance. So, what is value of a closer? Is it an overvalued position that can be filled easily without resorting to throwing big money at a free agent? Or, is it a key factor for team confidence and postseason success? To be honest, I'm not sure anymore. I will say that I think the value of the closer would be higher if managers were more willing to use them in high leverage situations, rather than just the traditional 9th inning role. Why waste your best reliever in a low leverage situation like the 9th inning with no runners on and a 3 run lead? Weathers is pretty extraordinary. I have been doubting his ability to maintain a quality level of production since he was 36, but at age 38 he continues to prove me wrong. How does he do it? Well in 2008, Weathers changed his approach. His pitch mix was as follows: 59.5% fastballs, 32.9% sliders, and 7.6% change-ups. This is a significantly different mix than he used in 2007, when he used more fastballs (74.8%), fewer sliders (23.0%), and fewer change-ups (2.2%). Weathers seems to be able to adapt his game to the situation and continue to pile up quality innings. 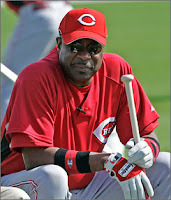 However, in keeping with my tradition, I'll say that the Reds should part ways with Mr. Weathers. If they keep him another year, then they will have ridden his value into the ground. This may be the last chance the Reds will have to exchange the value of David Weathers and apply it to a younger asset. Still, Weathers will probably pitch until he's 50 just to spite me. Jared Burton is flat out nasty and that's all there is to it. The Reds really did their homework when they nabbed him as a Rule V selection from the A's. I'm still surprised that the A's left him unprotected so that they could grab Jay Marshall in the Rule V draft. Marshall is another reliever with a funky arm slot and the A's are believers in those guys, but I'd imagine they'd like a mulligan on this one. He struck out almost a batter an inning and was probably the Reds most effective reliever. Burton features a Splitter (93.03 MPH), Cutter (88.73 MPH), and a Slider (87.22 MPH). Everything he throws is hard and really moving. All that's left for him to do is improve his walk rate and workload. 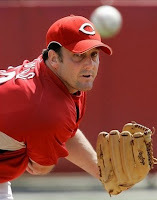 He logged 43.0 innings in 2007 and 58.2 innings in 2008, so it would be very beneficial to the Reds if they could get his workload up to ~75.0 innings. Outside of that, the Reds are very lucky to have Burton in the mix. Before the season, I had Jeremy Affeldt pegged as a breakthrough candidate or a bust. Thankfully, he broke through. In addition, I really liked the signing because it was a good way to troll for compensatory picks. Affeldt threw a lot of quality innings for the Reds in 2008 and is now exploring the free agent market. He's earned a hefty payday, so probably won't be back with the Reds. He struck out more than a batter an inning and racked up 121 groundballs and only 60 flyballs. From a production standpoint, Affeldt would be a nice guy to keep around, but his cost and ability to bring back a draft pick makes it better to let him walk. Both Mercker and Coffey imploded almost before the season got underway. They combined to log a paltry 23 innings and that was the end of it. Despite possessing good stuff, Coffey was once again undone by the mental good side of pitching. As for Mercker, his career ended with a whimper, not a bang. Injuries caught up with him, but he had a very nice career and should enjoy his retirement. I owe Mike Lincoln a mea culpa. I honestly didn't get the signing and couldn't imagine what the Reds saw in him. However, Lincoln was fairly effective and he certainly exceded my expectations. Health was likely all he needed to be a reasonably effective MLB reliever. Perhaps the most impressive thing about his season was his heavy groundball tendencies. He posted a stellar 1.70 GB/FB ratio, which is always a plus in Great American Ballpark. Given the volatility of relievers, Lincoln probably won't be able to maintain his success into 2009, so perhaps it isn't surprising that the Reds seem to have little interest in bringing him back. Lincoln does bring up an interesting observation about Walt Jocketty. One thing that is hard to overlook about Walt Jocketty is his preference for groundball pitchers. It was a built-in philosophy for the Cardinals. Jocketty acquired them, Dave Duncan groomed them, and Tony LaRussa put them in the best position to succeed. It seems like every starting pitcher they had was a groundballer and Anthony Reyes couldn't succeed in that organization because he wasn't a guy who would get groundballs. Perhaps Mike Lincoln is the first sign of the groundball trend being carried over to the Reds organization, which would be a good thing given the reduced pull of gravity that seems to exist in Great American Ballpark. "Players who rate in the top 20 percent of their position group (catchers; first basemen, outfielders and DHs; second basemen, third basemen and shortstops; starting pitchers; and relief pitchers) are designated as Type A. Players who rank in the 21-40 percent bracket are designated as Type B. If a Type A or B free agent's former club offers him arbitration, then it will receive compensation if he signs elsewhere. Type A free agents yield the signing team's first-round choice and a supplemental first-rounder, while Type Bs return only the sandwich-rounder. Clubs who finished in the bottom half of the major league standings can't surrender their first-round selection, and compensation picks for failure to sign draftees from the previous year can't change hands either. With that out of the way, below are the potential Type A and B free agents by position (listed in order of Elias ranking). Not all of these players have filed for free agency yet." First Basemen: Mark Teixeira (LAA). 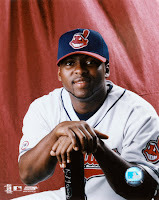 Second Basemen: Orlando Hudson (Ari). Shortstops: Orlando Cabrera (CWS), Edgar Renteria (Det). Outfielders: Manny Ramirez (LAD), Raul Ibanez (Sea), Bob Abreu (NYY), Adam Dunn (Ari), Pat Burrell (Phi), Brian Giles (SD). Starting Pitchers: C.C. Sabathia (Mil), A.J. Burnett (Tor), Andy Pettitte (NYY), Mike Mussina (NYY), Ben Sheets (Mil), Oliver Perez (NYM), Derek Lowe (LAD), Jamie Moyer (Phi). Relief Pitchers: Francisco Rodriguez (LAA), Brian Fuentes (Col), Russ Springer (StL), Damaso Marte (NYY), Ryan Dempster (ChC), Juan Cruz (Ari), Kerry Wood (ChC), Trevor Hoffman (SD), Doug Brocail (Hou), Darren Oliver (LAA), Bob Howry (ChC). Catchers: Ivan Rodriguez (NYY), Greg Zaun (Tor), Paul LoDuca (Fla). Second Basemen: Jeff Kent (LAD), Juan Uribe (CWS), Mark Loretta (Hou), Mark Grudzielanek (KC). Third Basemen: Casey Blake (LAD), Hank Blalock (Tex). Outfielders: Garret Anderson (LAA), Moises Alou (NYM), Ken Griffey Jr. (CWS), Luis Gonzalez (Fla), Mike Cameron (Mil). Designated Hitters: Milton Bradley (Tex), Frank Thomas (Oak). Starting Pitchers: John Smoltz (Atl), Brad Penny (LAD), Jon Garland (LAA), Randy Wolf (Hou), Paul Byrd (Bos), Greg Maddux (LAD), Braden Looper (StL), Randy Johnson (Ari). Relief Pitchers: Alan Embree (Oak), Brian Shouse (Mil), Jason Isringhausen (StL), Dave Weathers (Cin), Brandon Lyon (Ari), Salomon Torres (Mil), Jeremy Affeldt (Cin), Arthur Rhodes (Fla), Joe Beimel (LAD), LaTroy Hawkins (Hou), Dennys Reyes (Min), Rudy Seanez (Phi), Luis Ayala (NYM), Eric Gagne (Mil). Prior to the season, I thought the Affeldt signing was a good one for the Reds due to both on the field and off the field reasons. Affeldt actually came through in both departments, as his on field production was good enough to earn him a Type B free agent classification. However, was his production so good as to entice the Reds to sign him again? Personally, I really hope not. In 2008, Affeldt posted a 3.33 ERA, 1.31 WHIP, a 9.2 K/9, and a 2.02 GB/FB ratio. His performance exceded all reasonable expectations, but now is the time to cut bait. As good as Affeldt was in 2008, the volatility of both the relief pitcher position and Affeldt himself makes him a mediocre bet for long term success. In addition, by re-signing him, the Reds would fail to maximize the value of their assets. As I mentioned in my post when the Reds signed Affeldt, they need to "churn" players. By re-signing both Affeldt and David Weathers, the Reds would be holding onto their assets for far too long. In fact, they would likely be holding on so long that they would be running the value of their assets into the ground. If they let Affeldt and Weathers walk for the compensatory draft picks, then they can exchange the value of their aging assets for young prospects to plug in at the bottom of the organization. If they re-sign Affeldt and Weathers, then they are likely to lose the value of the assets when Affeldt and Weathers retire or disappear into obscurity in the future. The true choice isn't between re-signing Affeldt and Weathers or letting them walk, but rather whether to exchange aging assets for younger ones or to ride the aging assets until their is no value left in the organization. To me the choice is simple. For smaller market teams, players must be churned to keep the value of the assets in the organization. Affeldt was a great signing because he could be signed for only one season and had hte potential to net a compensatory pick with a solid season. He had the solid season we needed, so now it's time to cash in on the gamble. As for the Josh Fogg signing, I didn't think it made any sense and thought it could be detrimental to the young pitching prospects. At the time, I thought signing a veteran pitcher instead of going with the younger pitchers only made sense for three reasons, none of which were satisfied by the Josh Fogg signing. 1) The veteran lacks the upside of the prospect, but will provide better production in the short run. 2) The veteran will work more innings and deeper into games than the prospect. 3) The veteran serves as a stop gap to give the younger pitchers more time in the minors to develop. Fogg failed #1 by posting a lackluster 7.58 ERA in 78.1 innings. He failed #2 by averaging less than 5 innings per start. And, he arguably failed #3 because someone like Matt Maloney was probably ready to step in. Perhaps a case could be made that Fogg filled a need, especially given the injury to Daryl Thompson and the ineffectiveness of Homer Bailey, but Fogg was largely an unmitigated disaster and sadly not exactly an unexpected one. While the Reds may have been right in wanting additional depth as insurance for always volatile young pitching, they'll have to do better than Josh Fogg in the future. Video: Big Fly from Todd Frazier!! Frazier continues his hot hitting ways in Hawaii. Frazier's climb up the ladder has been impressive and if continues to play as he has, then he'll be in the Majors sooner, rather than later. His swing certainly is effective, but it's still a bit unorthodox. ESPN's Keith Law stated that Frazier had a hitch in his swing. I'm not sure I'd call it a hitch, but he definitely has rather unorthodox hand action. However, it remains to be seen whether it will slow him down against more advanced competition.